Head over to Joe's Garage to learn how to torch fire layers or enamel onto lightly domed copper discs! 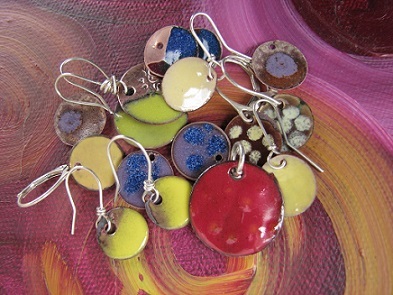 Make four discs to use as charms, earrings, or as components in your own jewelry creations. More than 100 colors to choose from! Make a sterling earwire or jump ring for each drop. Materials included. Ages 18 and up.